In May 2014, Wealth Solutions, thanks to its partnership with Gordon & MacPhail, was proud to present to the public one of the world�s oldest whisky. 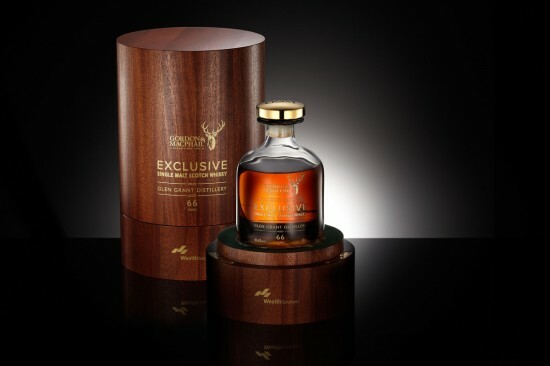 This single malt whisky was produced in 1948 within the walls of the Glen Grant distillery then matured in a sherry cask no 1369 and bottled after 66 years by Gordon & MacPhail. Nose (91): more than average. wood, candies, spices, eucalyptus, vanilla, citrus, cinnamon, cocoa, flowers. Palate (93): powerful, oily. wood, honey, citrus, spices, candies, pepper, liquorice, cocoa, vanilla. Finish (93): longer than average. spices, wood, cinnamon. So based on other whiskies I have already tasted I rate this Glen Grant 1948 66 years old cask #1369 with 92 points over 100. Now that I am reading the description of the whisky I have realized that it was aged in a sherry cask but the whisky isn’t strongly sherried ( like the Karuizawa was ), it is a wonderful experience much in the line of a very old ex-bourbon cask whiskies with just a tiny note of cocoa.